UNFolder, a new iOS tweak that aims to make this process a whole lot easier. Instead of manually dragging out every single icon, users will simply have to press and hold their folder, wait for the home screen icons to start jiggling and press the "X" button. Just as you would while deleting a standard App, you’ll get a standard confirmation prompt, and if if you really decide to delete the folder, it will go away and all the Apps within that folder will automatically be moved to the home screen. Update : Version 1.3.4-1 released ! Crack is out !! Infinifolders is a new paying application from BigBoss on Cydia, created by CHPWN member of the Dev Team. 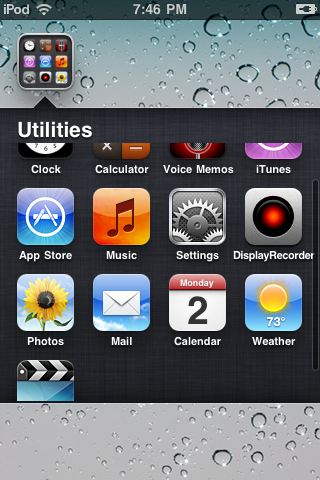 Autor of these tweaks like infinidock or infiniboard, this application will permit you to add more than 12 applications in the same Folder, removing then the limit fixed by Apple on this iOS 4x. 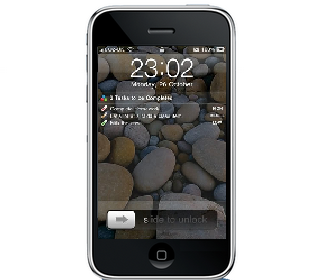 Allows the management of day to day tasks on your LockScreen. LockToDo allows you to view tasks and manage option on your lock screen from an helpful application. 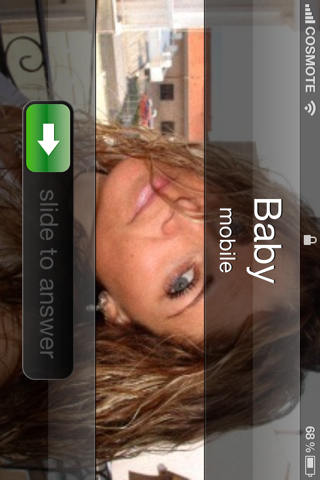 You can then be alerted of new tasks on your lock. This allow you to never forget a task. Update : Version 2.0.1 released ! Crack is out !! 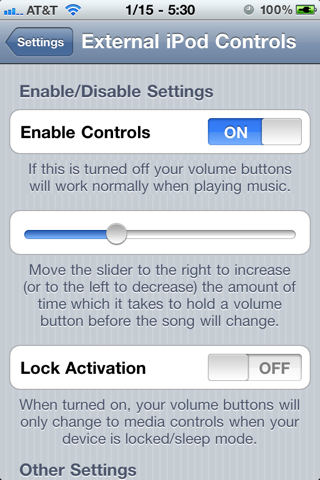 External iPod Controls converts your volume buttons into iPod controls. You will be able to go to the next song by pressing the up volume button and go to the previous song by pressing the down volume button. 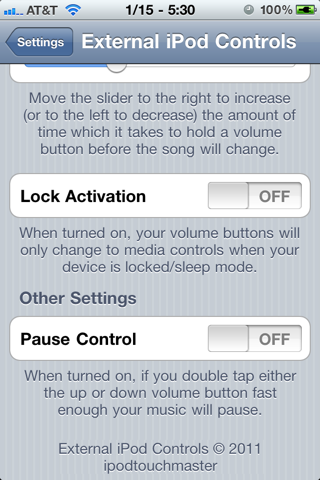 This will work on any iPod or iPhone with external volume buttons. It works on all modern firmwares, anything 3.0 and above. When there is no music playing your volume buttons will work as they normally would. When there is music playing and you still want to change your volume with the buttons anyway? No problem. After a pre-determined amount of time (that you can change in the settings) of holding down a volume button the volume will start to work as you would expect. Update : Version 0.5.0-120 released ! Crack is out !! 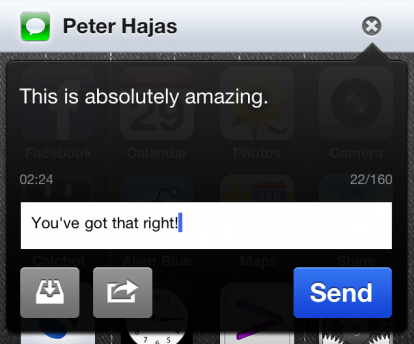 The developer has added a new feature really fantastic MobileReply, from there you can reply to messages with a simple click on the notification. MobileNotifier is an open source reimplementation of the iOS notification system, designed to be unobtrusive, user-friendly, and a joy to use. A new release was announced earlier today, bringing the software to a significantly more usable state. It’s accessible on Cydia via the repo phajas.xen.prgmr.com/repo, and it really feels like the way iPhone notifications should have been done by Apple in the first place. Update : Version 4.0 released ! Crack is out !! - Removed functions that manually rotated views. - Switched to iPad's native orientation change awareness. Following SBRotator, this tweak comes now to fill the gap and lets you use your device in landscape at the lockscreen too. 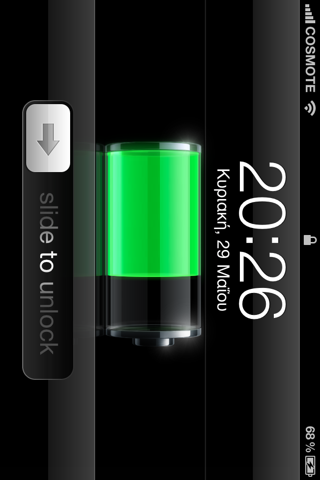 You can lock orientation if you wish, by simply tapping the lockscreen with 2 fingers. Rotation duration, orientation angles and graphical options are available under settings. Supports Cydgets, CyDialer, LockInfo, ClockHide, SmartScreen and several other addons. Submit requests to support more lockscreen addons . Set your lockscreen free and use your favorite addons in any orientation! Update your MyWi with Cydia, then run the patch (install the deb-file). Update 2 : Version 2.0.2 released ! Crack is out !! Preview how a theme will actually look on your device before you even install it, and view any previously installed and customized themes without the need to respring. If a themed icon for an app can't be found, IconHarvester will create one by combining the app's original icon and special template images included with many popular themes. Update : Version 5.02 released ! Crack is out !! Add a few more rules to Hide Tether Usage. PdaNet turns your iPhone into a WiFi hotspot or USB modem so that it can share the iPhone's Internet access with your computer. It is a unique tether program that does not require an extra tether plan. Supports both Windows and Mac, as well as any devices with WiFi access such as the iPad. Also check out our Android version and Blackberry version. 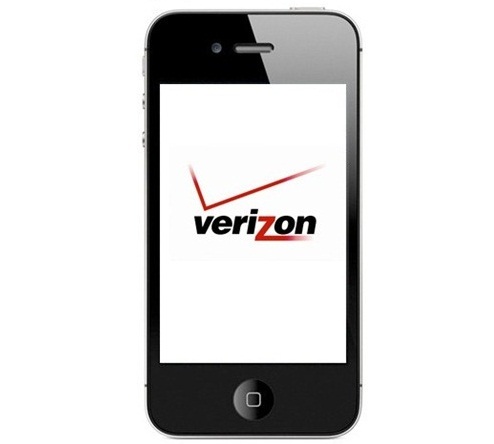 Update: Jailbreak for Verizon iPhone 4 running iOS 4.2.8 is also available. The iPhone Dev Team has released updated version of both Redsn0w and PwnageTool to jailbreak iOS 4.3.3 untethered using i0n1c’s untethered exploit. … three in a row! Apple released iOS 4.3.3 on Wednesday, and once again the untethered jailbreak exploit that @i0n1c created for 4.3.1 still works. That makes it an unprecedented three firmwares where the same userland exploit works. We’re not exactly sure why Apple hasn’t fixed the hole yet, but we’re not complaining! Earlier this week, iOS 4.3.3 was released to fix the much talked about iOS location tracking bug. 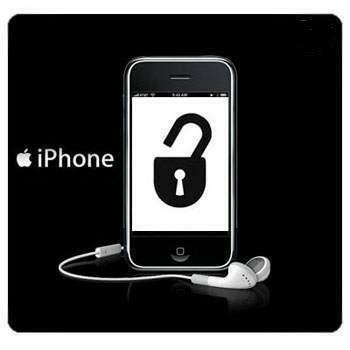 NOTE: Those of you who rely on a carrier unlock MUST STAY AWAY from Redsn0w and stock iOS 4.3.3 firmware. Instead use PwnageTool for Mac, or Sn0wbreeze for Windows. 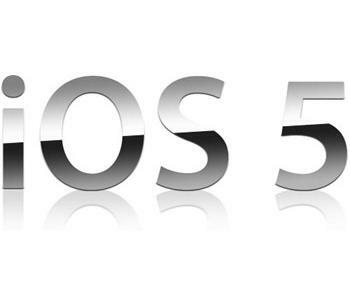 Step 1: Download iOS 4.3.3 for your version of iOS device. Step 6: Sit back and enjoy while Redsn0w does the rest for you. 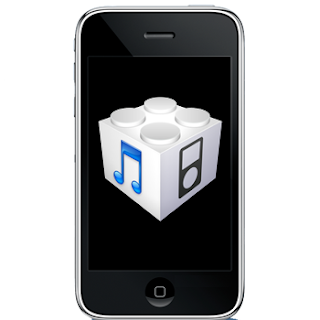 Once done, your iPhone, iPad or iPod touch will restart automatically and you will find it fully jailbroken (untethered) on the latest iOS 4.3.3 firmware. Ultrasn0w 1.2.3 has been released today to make the unlock compatible with iOS 4.3.3 on iPhone 4 and 3GS, running on the old baseband. It should be noted though that this release of Ultrasn0w is not a new unlock for iPhones with newer basebands, instead, it only fixes the compatibility issues on the existing devices, which are jailbroken (with preserved basebands: 01.59.00 / 04.26.08 / 05.11.07 / 05.12.01 / 05.13.04 / 06.15.00) on iOS 4.3.3. 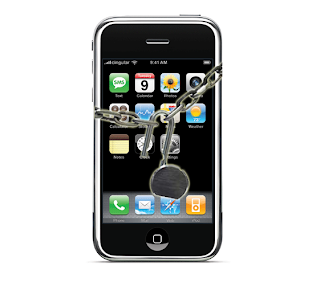 For iPhone 3GS Only: How to Update iPhone 3GS to 06.15.00 Baseband for Unlock: Ultrasn0w 1.2.x unlocking requires that your iPhone 3GS is jailbroken with 06.15.00 baseband. Follow the complete guide posted here (with PwnageTool) or here (for Redsn0w) to update your iPhone 3GS baseband to 06.15.00 and jailbreak it on iOS 4.1 / 4.2.1 before proceeding with the following steps. Step 1: First up, you will have to jailbreak your iPhone 4 or 3GS on iOS 4.3.3 and preserve the old baseband using either PwnageTool on Mac, or Sn0wbreeze on Windows. Instructions on how to jailbreak iOS 4.3.3 using PwnageTool can be found here, and for Sn0wbreeze can be found here. Step 3: Now simply restart your iPhone and voila! 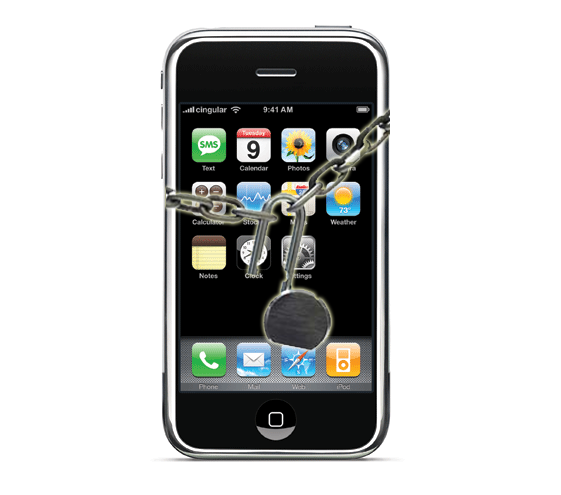 you should now have a fully unlocked iPhone 4 or 3GS, running iOS 4.3.3 ! The just released PwnageTool 4.3.3 by the iPhone Dev Team can jailbreak iOS 4.3.3 on iPhone 4, 3GS, iPad (1st-gen), iPod touch 4G/3G, Apple TV, and at the same time will help retain the old baseband for iPhone 4 and 3GS users so that they can unlock using Ultrasn0w. If your iPhone doesn’t rely on a carrier unlock, you can use Redsn0w for both Windows and Mac to easily jailbreak your device on iOS 4.3.3. Complete step by step instructions can be found here. Simply follow the instructions posted below to jailbreak iOS 4.3.3 on Mac using PwnageTool 4.3.3. If you are on Windows, or if you have Verizon iPhone 4 on iOS 4.2.8, simply follow our step by step instructions posted here to jailbreak using Sn0wbreeze 2.7.1. Step 1: Download PwnageTool 4.3.3.1 for Mac. Step 2: Download iOS 4.3.3 firmware. Move all these files to the desktop. NOTE: If you are with unofficial carrier, and want to preserve the old baseband so that it can be unlocked using Ultrasn0w, make sure you check “Activate the phone” option which is found under “General”. Step 6: PwnageTool will now create the custom .ipsw file for your iPhone which will be jailbroken. Step 8: Start iTunes, click on your iOS device icon from the sidebar in iTunes. Now press and hold left “alt” (option) button on Mac, or Left “Shift” button if you are on Windows on the keyboard and then click on “Restore” (Not “Update” or “Check for Update”) button in the iTunes and then release this button. Step 9: Now sit back and enjoy as iTunes does the rest for you. This will involve a series of automated steps. Be patient at this stage and don’t do anything silly. Just wait while iTunes installs the new firmware 4.3.3 on your iOS device. Your iOS device screen at this point will be showing a progress bar indicating installation progress. 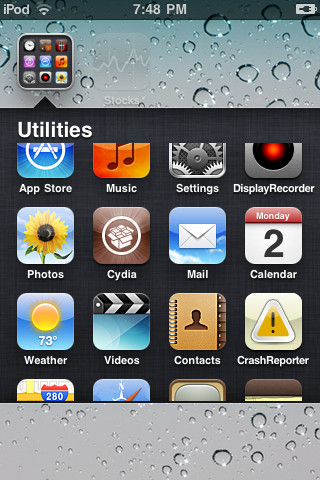 After the installation is done, your iOS device will be jailbroken on iOS 4.3.3. 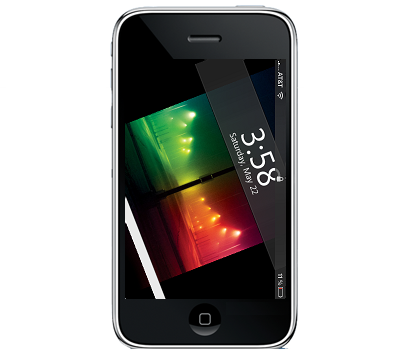 Ultrasn0w 1.2.3 for unlocking iOS 4.3.3 is now available for both iPhone 4 and 3GS. You can use it to unlock iOS 4.3.3 (compatible basebands: 01.59.00 / 04.26.08 / 05.11.07 / 05.12.01 / 05.13.04 / 06.15.00) on your iPhone 4 and 3GS, step by step instructions for which can be found here. iPhone developer ih8sn0w has updated Sn0wbreeze to version 2.7.1 in-order to include support untethered jailbreak for iOS 4.3.3 (iPhone 4, 3GS, iPad, iPod touch) and iOS 4.2.8 on Verizon iPhone 4. Currently, the only way to get untethered jailbreak on iOS 4.2.8 (Verizon iPhone 4) is to use this version of Sn0wbreeze. 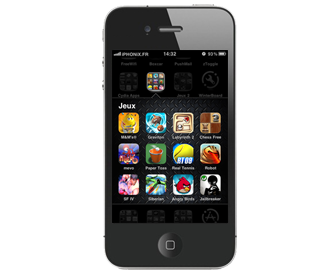 But if you have a GSM iPhone 4 and you are wondering why to use Sn0wbreeze over Redsn0w? Then here’s why: If your iPhone relies on a carrier unlock, you must use Sn0wbreeze 2.7.1 which will help retain the old baseband for iPhone 4 and 3GS users so that they can be unlocked using Ultrasn0w. Download Sn0wbreeze 2.7.1 for Windows. Download iOS 4.3.3 for iPhone, iPad or iPod touch. Download iOS 4.2.8 for Verizon iPhone 4. 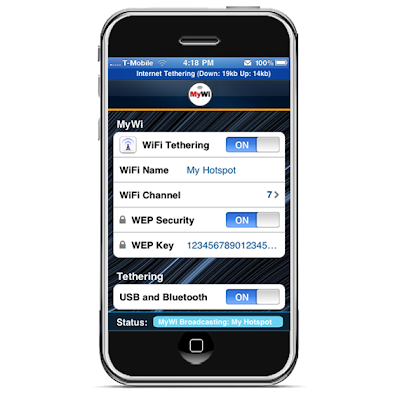 Step 3: Select the required firmware .ipsw file (iOS 4.2.8 for Verizon iPhone 4, or iOS 4.3.3 for GSM iPhone, iPad & iPod touch) for your iOS device by clicking on the “Browse” button. This will make iTunes prompt you to select the location for your custom firmware 4.2.8 (for Verizon iPhone 4), or 4.3.3 (for GSM iPhone, iPad & iPod touch) file. Select the required custom .ipsw file that you created above, and click on “Open”. Step 9: Now sit back and enjoy as iTunes does the rest for you. This will involve a series of automated steps. Be patient at this stage and don’t do anything silly. Just wait while iTunes installs the new firmware 4.2.8 (for Verizon iPhone 4), or 4.3.3 (for GSM iPhone, iPad & iPod touch) on your iOS device. Your iOS device screen at this point will be showing a progress bar indicating installation progress. After the installation is done, your iOS device will be jailbroken on 4.2.8 (for Verizon iPhone 4), or 4.3.3 (for GSM iPhone, iPad & iPod touch). 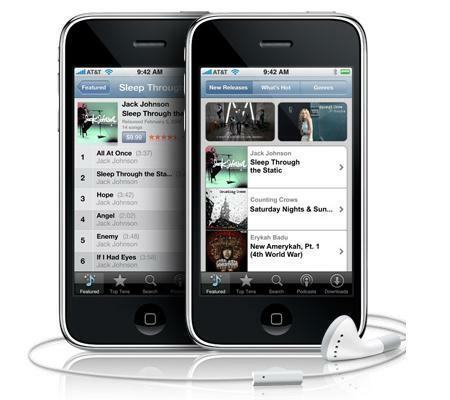 [News] iOS 5 To Introduce Over-The-Air Updates For iPhone, iPad, iPod touch? If there is one area where Apple’s iOS still lags behind Google’s Android, it’s in the software updating process. As things stand today, eager updaters must first be informed that an update is available and then run off to plug their iDevice into a computer for iTunes to work its magic. Contrast this with the painless over-the-air nature of Android’s updates and it’s clear to see where Apple needs to be focusing its energy right now. According to a report by 9to5Mac, Apple could be doing just that. Their source claims Apple has been in talks with American carrier Verizon since the beginning of 2011 over the possibility of providing updates without the need to tether the hardware to a computer. Unfortunately there was no comment on whether the discussions extended to either AT&T or other carriers worldwide. Why do carriers need to be involved? Because as things stand, iOS updates weigh in at a hefty 600+MB an update. Carriers won’t be keen on customers pulling that kind of data through their network – probably all at once unless on a WiFi network. The way around that is for Apple to change the way its updates work. Currently the whole iOS image is downloaded and flashed, whereas Android for example just downloads the changes meaning the file sizes are infinitesimal compared to iOS. 9to5Mac’s source speculates the new update system could go live in iOS 5, with subsequent updates being available OTA. With a new notification system and cloud syncing already high on the request list for iOS 5, we’re hoping a whole new update procedure isn’t too much to ask for too! NOTE: this requires "sqlite3" and "syslogd" (or "sbsettingssyslogd") packages to be installed! iBye 2.4 presents AppStore AppData & Cydia Apps backups and restores. Have you ever wanted to make a backup of your data, but iTunes wasn't around? Then iBye is the application for all your data needs. iBye will backup your data on a FTP server of your choosing. iBye will restore this data from the backup on that FTP server as well. iBye can also do a local backup and local restore on the iDevice itself. iBye has the functionality to remove all the data from the desired application of your choosing. If you feel removing all the data is not the way to go, then how about locking the deletion of data? iBye can also lock the deletion of data from happening. If you do not have a FTP server, no worries. iBye has a build in system so you can register with FindMyTech to obtain a free FTP server. If you do not want to use a FTP server, you can just use iBye's built in web server to download and upload your backup and restore files. iBye supports AppStore App Data, Cydia Apps, Messages, Notes, Mail, Calendar, Photos, Address Book, Safari, Syslog, and Call History. iBye's FTP connection supports EDGE, 3G, and WiFi. 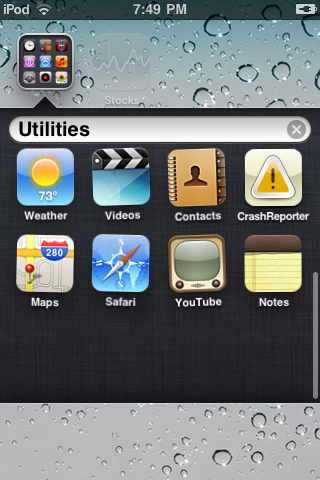 [News] Apple has just released iOS 4.3.3 (Verizon 4.2.8) ! Doesn’t backup the cache to iTunes No longer backs the cache up to iTunes. Deletes Cache entirely if Location Services is off. [WARNING] If you are on iOS 4.3.3 & you want to retain your untethered jailbreak then do not update to iOS 4.3.3 right now as there is no untethered jailbreak for iOS 4.3.3 as of this post. If you want to unlock your device or jailbreak iPad 2, then stay away from the iOS 4.3.3 update for now, as it’s just a minor fix.